Disclaimer: the rights of the pictures belong to the owner of the pictures (FrieslandCampina). Do you want your pictures removed from our blogpost, let us know. 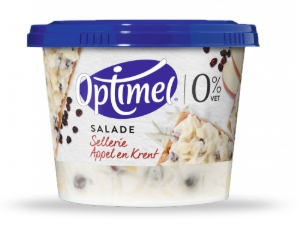 What is Optimel Salad spread? 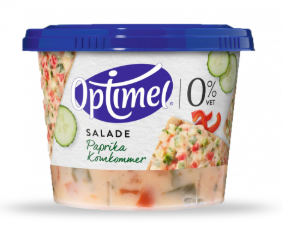 Optimel Salad spread is the first product of Optimel outside the dairy category. 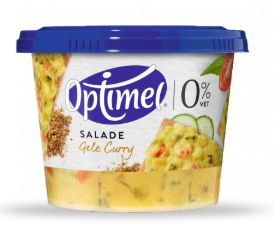 Typically, the Optimel range consists of dairy drinks and yogurts with 0% fat and lower calories, however now the brand has done a cross-over to a new category, which is rather spectacular. As far as we know, the product is very well received, even leading to out of stocks at the second largest retailer of the Netherlands: Jumbo. They offer the product in three flavors, soon to be expanded when succesful. Are you going to try this product?